Vintage Quilting News fabric by designer Gail Cadden. 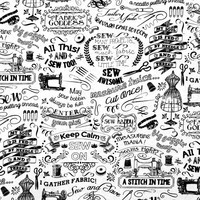 Use this fabric for any sewing themed project. Printed in black and white to resemble a newspaper. 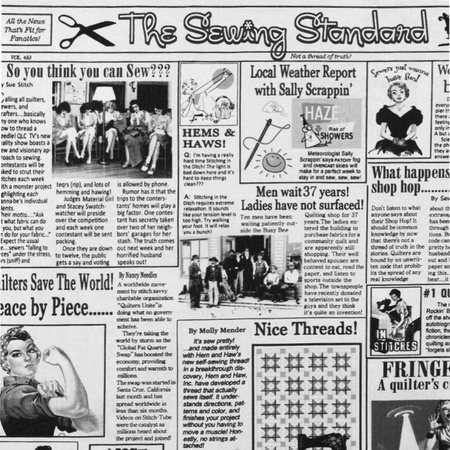 News clippings include images and comical stories related to sewing.